Not only your dog is annoyed by scratching all the time, you are too! Fleas and persistently pesky little critters always trying to make your pet’s life miserable. Perhaps you don’t like spraying random chemicals on Fido’s back, and who can blame you? 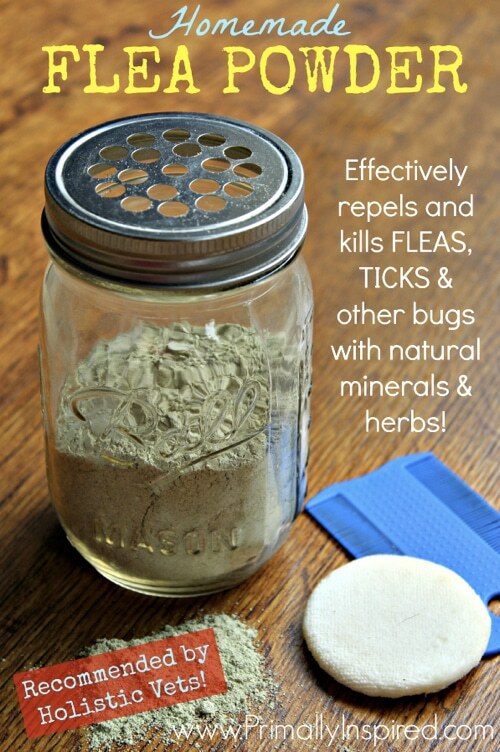 Why not try this natural, safe, homemade flea powder…you’ve got nothing to lose except those unwanted bugs.